Are you sewing along with the Splendid Sampler? That pile of quilt blocks above just makes me so (sew?) happy. Two blocks are released each week - some are traditionally pieced, many are not. The variety keeps it interesting. Given the two block a week pace, it wasn't really a surprise I fell a tad behind once family travel pulled me away from my sewing space. I sent myself a goal in August to get myself caught up. Block 57 was released Sunday and was (thankfully) an easy one. As a result - for this instant in time anyway - I am caught up! Getting caught up with my Splendid Sampler blocks was my OMG goal for August. 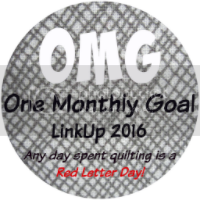 I'll be linking up here at Red Letter Quilts. 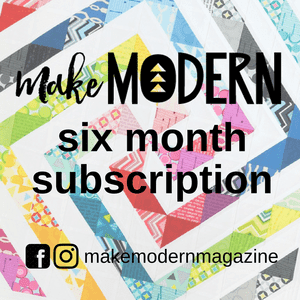 I'll be linking my blocksl with Sew Cute Tuesdays, , Freemotion by the River, WIP Wednesday's, Let's Bee Social, Midweek Makers. Fabric Frenzy Friday, Finish it Up Friday and Finished or Not Friday. Your blocks are beautiful. Love the colors you've chosen. I haven't worked on mine since we left Nevada 3 months ago. I have a lot of catching up to do. We'll be back home next week. Your blocks are gorgeous! Congrats on keeping up with the project! There are a lot more blocks than I realized, Good on you catching up! 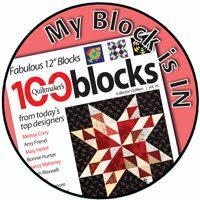 As I selected favorites from your photos, I was surprised I selected applique blocks again & again. I really ought to give it a go. So nice! 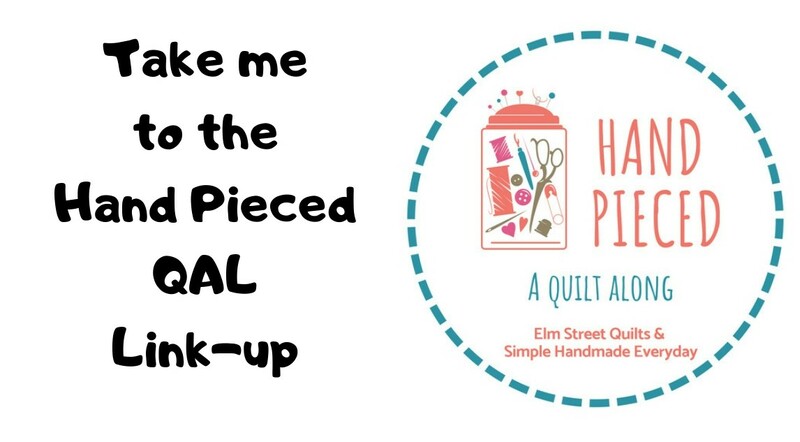 I gave up a while ago....I have a major applique project on the go and the Splendid Sampler had too many applique blocks, I had to make an executive decision! This will be a pretty epic quilt when its finished! I'm always behind on QAL's or BOM's! Not sure why that is!! You made it a lot longer than I did. I have about 8 of those blocks. This is a very challenging project and you will truly feel a sense of accomplishment when you are finished. Your blocks are lovely! Congratulations on catching up! I like the way you've used the colors to bring some cohesiveness to a really disconnected set of blocks. This will look great! Congrats on getting caught up, as it can be really hard to do so once behind. And all of them look fantastic! Using the same color scheme throughout really keeps them together. Thank you so much for sharing this on Midweek Makers! Congrats on being caught up! How big are the blocks? They are lovely together, each bringing their own unique design and creating beauty together. Caught up is a great feeling, even when temporary! I love your blocks! The fabrics are beautiful, and I love the varied backgrounds! It will be a beautiful quilt upon completion. Oh wow that is going to be one giant quilt when you're finished, and stunning too! Your blocks are lovely! The fabrics you've chosen are so pretty - your quilt will be amazing! You have impressed me by keeping up so well with this project! Congratulations!